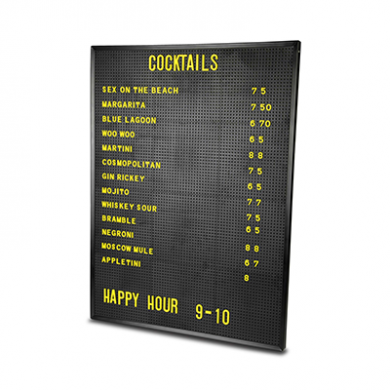 The Design-A-Sign Peg Board 18 x 24 inch allows you creative freedom over your menus or specials boards. 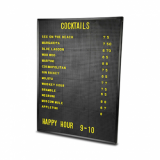 With spacing to arrange letters and numbers however you desire, this menu board can be as specific as your restaurant, cafe, deli or bar needs to be. Full of retro charm, this peg letter board adds vintage chic to your advertising displays. Ideal for advertising menus and specials. Hole spacing means you can place letters almost anywhere. Design your perfect sign for your commercial or domestic setting. Please note Letters not included, sold separately.